Home / Abof / Footwear / Offers / Abof.com special footwear sale 50-60% off. 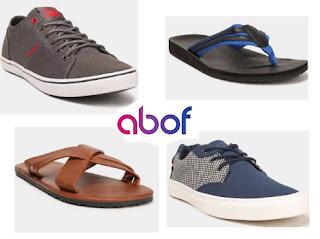 Abof.com special footwear sale 50-60% off. Special offer on footwear 50-60% off get yours. Other offer on clothes and more. Note- apply coupon on purchase of anything above ₹1495 to avail ₹300 extra off. Make sure to tick the Notify Me box below the comment form to be notified of replies. Thank you.